Cocaine Pre-Workout is a performance-boosting supplement, that claims to provide the crucial energy athletes need to stay on top in the gym or in competitions. 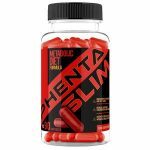 Manufactured by Cocaine Fitness, the ingredients list mentions useful doses of citrulline malate, beta alanine, and creatine, all of which have been associated with improved performance in the gym. We uncover the ingredients, side effects, and whether Cocaine Pre-Workout actually works. No comments Page updated Mar 13, 2019. First published Feb 22, 2018. Pre-workouts are an essential weapon in the arsenal of dedicated athletes, helping focused sportsmen achieve their best in their gym sessions and competitions. Customers are drawn to pre-workout supplements for their promised bursts of energy, and boosts to power output and focus. Although these effects could be considered roughly comparable to those offered by stimulant narcotics, it’s not often we see a manufacturer who seem happy to invite the comparison! Below we take an in-depth look at Cocaine Pre-Workout, to examine whether this performance booster offers the substantial energy boost that it’s unusual name implies. Cocaine Pre-Workout is an exercise aid and performance booster with a fairly eye-catching name. It comes in the form of a powder that is designed to be mixed with water, and is available to buy in two unusual flavours, blackberry lemonade and rocket pop. 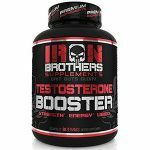 As with many other pre-workouts on the market, this product claims to provide a huge boost of energy, helping customers to stay focused and achieve more impressive pumps at the gym. 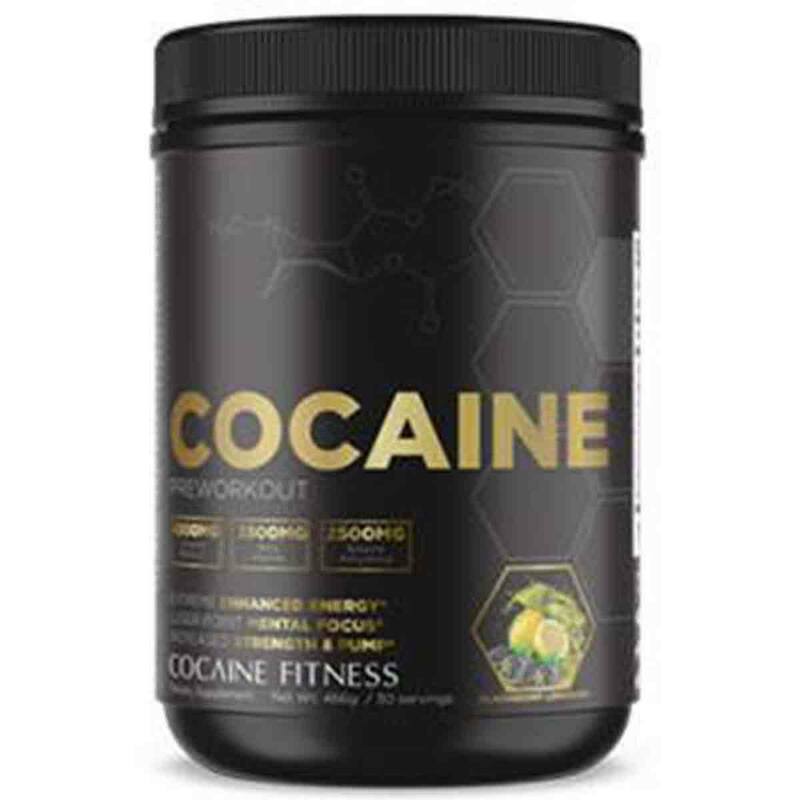 Cocaine Pre-Workout is produced and sold by Cocaine Fitness, a relatively new supplement manufacturer that was formed in 2016. As of 2018, Cocaine Fitness have only two supplements on their roster (Cocaine Pre-Workout, and a BCAA supplement called Rehab BCAA). The company also sells t-shirts and workout accessories. What are the side effects of Cocaine Pre-Workout? Cocaine Pre-Workout contains fairly huge doses of various stimulant ingredients, which can result in numerous side effects (depending on your sensitivity to stimulants). The quantity of caffeine used in this product is significant (at 350mg per serving, the amount of caffeine used in this product nears the recommended limit for the day). High quantities of caffeine are often associated with jitters, sleeplessness, an increased heart rate, and increased blood pressure. This product also uses synephrine, which intensifies the effects of caffeine, and has also been associated with raising the possibilities of encountering heart attacks and strokes. We strongly recommend that customers avoid all other forms of caffeine whilst taking Cocaine Pre-Workout, so as to minimise the possibility of experiencing adverse effects. This product also contains a few other ingredients that may cause negative side effects, some of which are quite serious – check the Side Effects tab for more information. How much does Cocaine Pre-Workout cost? Cocaine Pre-Workout is relatively inexpensive, especially when you factor in the fact that customers are invited to only take half-servings for the first few weeks of trying it out. A 30-serving pack costs $34.99 plus $6.99 in shipping when purchased on the official Cocaine Fitness website, and costs $29.99 plus shipping on the WhatSupp Club webstore. Cocaine Pre-Workout is a performance-boosting supplement, that claims to provide the crucial energy athletes need to stay on top in the gym or in competitions. The product’s main slogan is “It’s Addictive”, which we’re imagining (or perhaps hoping) is a joke and not a serious claim! Cocaine Pre-Workout is manufactured by a company called Cocaine Fitness, a small supplement manufacturer that was created in 2016. 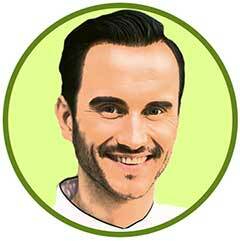 Cocaine Fitness run a relatively neat and tidy website, but their inexperience shows. The company has not been registered on the Better Business Bureau, sells only two supplements, and seems to have little to no following on any social media profiles except for Instagram. They have attracted mild interest in some quarters after debuting Cocaine Pre-Workout, although many potential customers are apparently unaware that the product is actually real, thinking it to be a cleverly designed hoax or meme. Cocaine Fitness can be contacted via their email address ([email protected]) or via the chat function on their official website. Take one half serving of Cocaine Pre-Workout with 10oz of water 25-30 minutes prior to training on a full stomach. Once tolerance has been established and you’re are looking for an additional boost of energy, take 1 full serving. What does Cocaine Pre-Workout claim to do? Cocaine Fitness make very few claims about how their flagship product is expected to work. In a nutshell, the product is said to allow customers to “break any weightlifting plateaus and party until the break of dawn with only one serving”. The advertising copy also claims that Cocaine Pre-Workout is addictive, which we presume is meant to act as a kind of slogan rather than as a serious claim (although it isn’t phrased in the most obvious of ways). It’s worth mentioning that Cocaine Fitness have only included two sentences worth of information about Cocaine Pre-Workout, yet still manage to make grammatical errors and include confusing phrases – this does not exactly fill the customer with confidence! We would expect Cocaine Pre-Workout to work well as a performance booster. 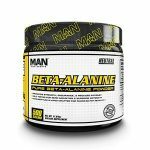 The ingredients list mentions useful doses of citrulline malate, beta alanine, and creatine, all of which have been associated with improved performance in the gym. The formula also uses huge quantities of various stimulants – as long as customers can handle the inevitable jitters, the resulting boost in energy will surely see athletes pushing harder and faster than they would otherwise manage. Of course, it’s worth mentioning that this product’s over-the-top formula could cause a range of side effects that may make this product effectively unusable. Unfortunately, there are virtually no customer reviews available online to tell us how tolerable this formula really is. The ingredients found in Cocaine Pre-Workout are detailed below. The ingredient quantities listed below are correct for 1 scoop (15.5g) of powder. Cocaine Pre-Workout may cause a range of side effects, as it contains more than a few ingredients with suspect reputations. 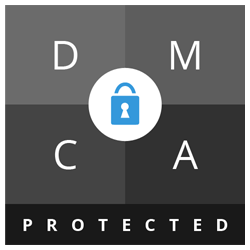 One key ingredient, DMHA, is chemically very similar to a banned substance called DMAA. Although it remains unclear how safe DMHA is due to a shocking lack of research on it, its brother DMAA has been associated with raised blood pressure and heart rates and has been linked with causing strokes, heart attacks, and death, even in previously healthy people. Other side effects may include shortness of breath and tightening in the chest, seizures, neurological problems, and psychiatric problems. We advise caution when taking untested stimulants like DMHA. Side effects associated with the use of another stimulant used in this product, Synephrine, include increased heart rate and increased blood pressure, heart palpitations, fainting, and even heart attacks and strokes in healthy patients. The effects of synephrine are enhanced when combined with caffeine. The extremely high doses of caffeine used in this product can cause headaches, jitteriness, insomnia, an increased heart rate, heart palpitations, increased urination, dehydration, and increased blood pressure. Customers that are sensitive to caffeine should consider avoiding this product altogether, and all customers should avoid consuming any other source of caffeine whilst using this product. Betaine may occasionally cause stomach complaints and diarrhoea. The side effects of Alpha Yohimbine are not fully known, although very closely-related substances are known to cause stomach upset, excitation, tremor, sleep problems, anxiety or agitation, high blood pressure, a racing heartbeat, dizziness, stomach problems, drooling, sinus pain, irritability, headache, frequent urination, bloating, rash, nausea, and vomiting. Caution: Do not exceed 1 serving in a 24-hour period – use only as directed. This product is only intended to be consumed by healthy adults, 18 years of age or older. Do not use this product if you are pregnant, nursing, or are currently taking nitrates for chest pain or if you are taking medication used to treat erectile dysfunction such as PDE5 inhibitors. Before using this product, consult a licensed, qualified healthcare professional if you are taking antidepressants such as MAOIs (Monoamine Oxidase Inhibitors) or SSRIs, blood thinners, nonsteroidal anti-inflammatory drugs, pseudoephedrine, or if you are taking any other dietary supplement, prescription drug or over-the-counter medication, or, if you suspect you have or have been treated for, diagnosed with or have a family history of any medical condition, including but not limited to: high or low blood pressure, diabetes, glaucoma, anxiety, cardiovascular, psychiatric or immune disorders, cardiac arrhythmia, strokes, heart, liver, kidney or thyroid disease, or difficulty urinating due to prostate enlargement. This product contains caffeine and should not be used by individuals wishing to eliminate caffeine from their diet or in combination with caffeine or stimulants from other sources, including but not limited to, coffee, tea, soda or other dietary supplements and medications. This product is not intended to diagnose, treat, cure or prevent any disease. Discontinue 2 weeks prior to surgery. Immediately discontinue use and contact a medical doctor if you experience any adverse reaction to this product. Do not use if safety seal is broken. Keep out of reach of children. We were only able to find one independent customer review available online (we tend not to count the reviews posted on official product websites, as these are often faked or specially selected in order to make the product look good). Most of the comments we could find discussing Cocaine Pre-Workout online were simply marvelling at or laughing at the product’s unusual name – very few people have seemingly tried it for themselves. I had never heard of this brand so I wanted to give it a shot. I was pleasantly surprised by how the Fruit Punch tasted, and the pump/energy I received from it. Will definitely try out the Grape flavor next time I need to re-up. At the time of writing, Cocaine Fitness has no official returns or money back guarantee policy written on their website. We reached out to the company and a rep stated that customers can return products for a full refund if they remain unsatisfied. This is promising, but we still feel that a lack of a written policy on the official website does not make this particularly binding. If you remain unsatisfied with your purchase, we recommend reaching out to Cocaine Fitness to see whether they extend the same offer to you. Cocaine Pre-Workout can only be purchased from the official Cocaine Fitness website and on WhatSupp Club. A 30-serving pack costs $34.99 plus $6.99 in shipping from the official Cocaine Fitness website. The same pack costs $29.99 plus shipping for WhatSupp Club. Products like Cocaine Pre-Workout underlie some of the biggest problems with the supplement industry in general. In pursuit of more dramatic energy boosts, Cocaine Fitness appears to have hugely compromised on safety, producing a product that cannot really be recommended by anyone. This product uses a huge dose of caffeine and mixes this with synephrine (to further intensify the effect), along with untested stimulants like DMHA. To put it mildly, this will cause side effects, especially if customers ignore dosing instructions or inadvertently consume further sources of caffeine from sodas or coffees throughout the day. Even following the manufacturer’s advice to take half-servings is not ideal, as this results in some of the most important ingredients (such as citrulline malate and beta alanine) being under-dosed. It just seems like little thought was put into this formulation, resulting in a balance that is too strong in some respects and only barely strong enough in other respects. To make matters worse, there are no customer reviews available online to check and the company appears to offer nothing in terms of a formal returns policy. To be clear, we would guess from the ingredients list that this product broadly works as advertised, it’s just that we feel that better, less side effect-prone options are out there (probably with less obnoxious names). Overall, we do not recommend Cocaine Pre-Workout to our readers.